Do you realise that it’s less than a month to Christmas?! Today is the last day of November! Yikes! 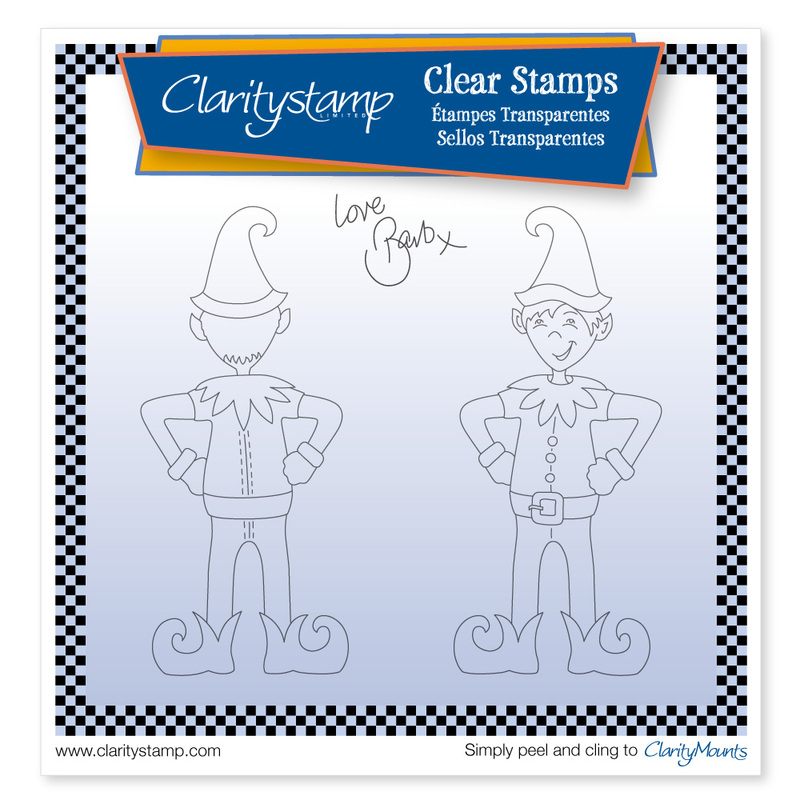 And so, the Clarity Elves have been busy again! Wait till you see the Christmas game they have created for you! I was impressed when they showed me, I really was ! You see, years ago, I drew an elf. I thought it would be fun to do a double-stamp, so you could stamp his front AND back. 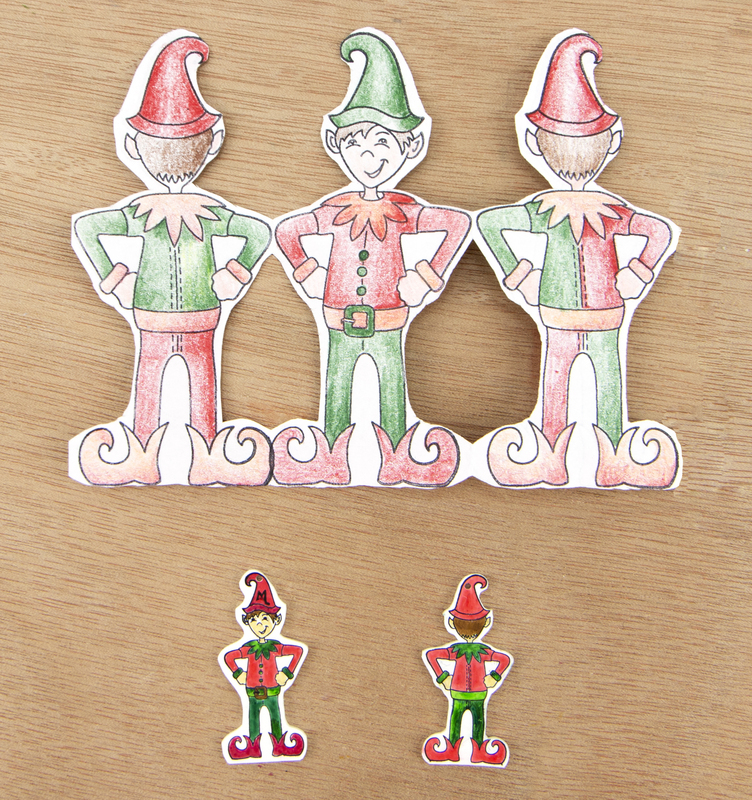 I wanted to turn him into a paperchain….Anyway, I put him in a drawer and left him there, because I had always planned to draw a gingerbread man and a fairy in the same way (yet to happen!). But lovely Lisa at work found him, and fell in love with him, gave him a magic kiss – and brought him back to life! Then, the rest of the Art & Design guys set about hiding Elvis the Elf (Yep, they even gave him a corny name!!) all over the website! and YOUR job – starts tomorrow – is to go find him every day till Christmas! We’re not going to torment you and just send you off into the Webby wilderness without a skooby! No, no. There will be daily ditties to help you! Everywhere you find the little Elf, he’ll have been sprinkling a little magic dust, and the prices will drop by up to 50%. If you get all 24 correct, we’ll enter you into our prize draw for a £200 Clarity Gift Hamper. Results to be announced on 1st Jan 2019! Piece of cake! I know, without even looking !!!! But don’t tell anyone when you DO find him! Just note where you spotted him for all 24 days. Feel free to shout FOUND HIM when you do though!!! Let’s have some fun! 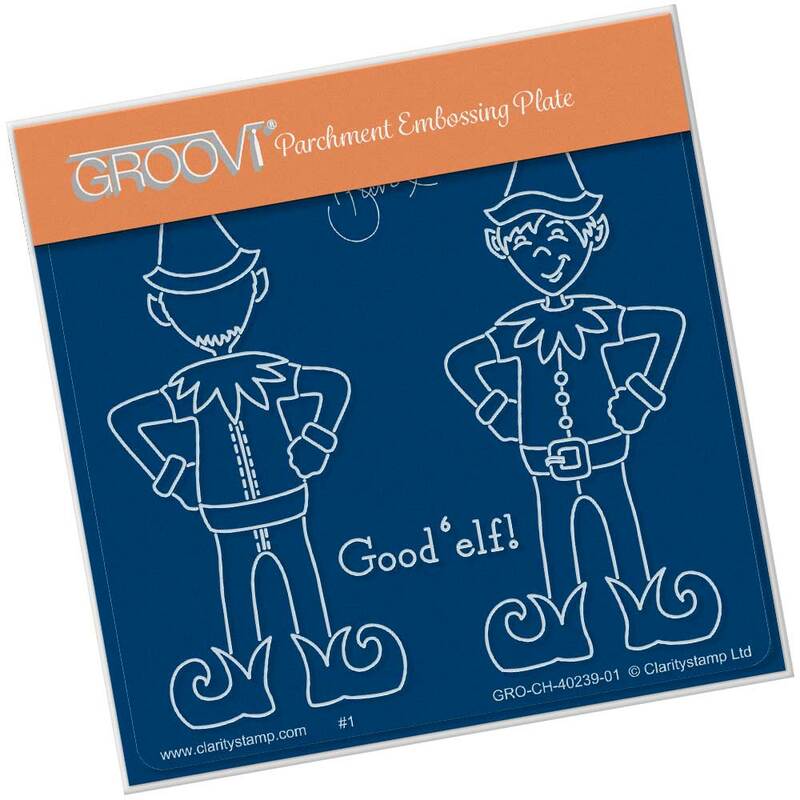 As for Elvis the Elf double-stamp (and in Groovi! ), he’s on the website now, at a special Introductory Price. Save 20% off the actual price right through until the 24th December. And please, do tune in to next Tuesday’s YouTube, where I set about making a pair of Elvis-earrings, using – wait for it – SHRINK PLASTIC !! They’d be a hell of a pair of earrings if we didn’t shrink him!!! Oooh Barbara, shrink plastic. Can hardly wait for that, lol. So cute looking forward to joining in maybe getting the groovi plate too. Very cute. Is he going to have a wife too? Love all things Christmas and this Elf will keep me well occupied. Loved Elvis too, have a wonderful selection of Christmas songs by him and I will play them while hunting. I’ll get the OH to help me look. One of hubby’s jobs used to be ” ‘elf ‘n’ safety ” and every year (while he was working) throughout December he would wear ties, socks, hats and jumpers with a seasonal theme. Drove the Directors nuts especially the Elf hats with bells on (he had 5 different ones) but they did have a laugh. I decorated all the offices on 1st. December and didn’t take them down until New Year. On the last working day before the holiday I catered a huge buffet for all the staff. It was such a joyful time. Now we are told that no one does Christmas at work, only a single tree in reception. So sad!!! More goodies arrived today so having a happy crafty time. 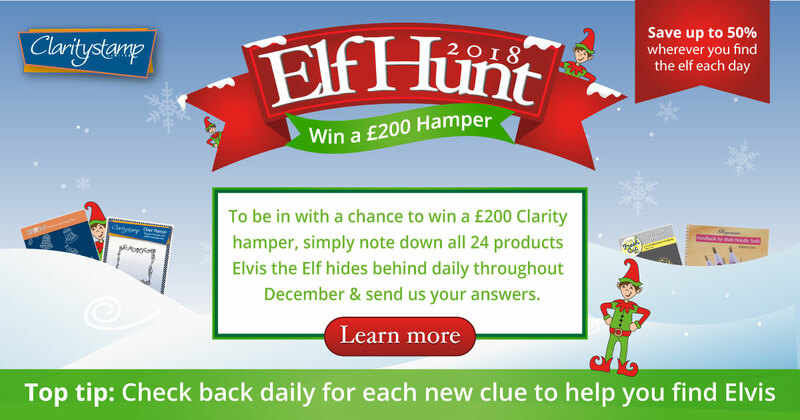 I spotted Elvis on the ‘new products’ page earlier, and wondered whether there was a ‘reveal’ coming, now we know all – thank you Clarity Elves. The earrings look fabulous, are you going to wear them on TV Barbara? Thank you, I love a competition, don’t often win, but I do enjoy the taking part. I can’t believe it’s December tomorrow, what happened to the rest of the year. Time just flies by. I’m loving it already. Can’t wait to get started tomorrow. Evening Barbara! Oh that Elvis is a very cheeky elf… He just jumped into my basket…. Twice!!!! I can see me having a bit of fun with him!!! Well done to Lisa for letting him out of the drawer! Good luck to everyone who is looking for him on the website throughout December! Love it!! I’m always up for a game like this, such fun. 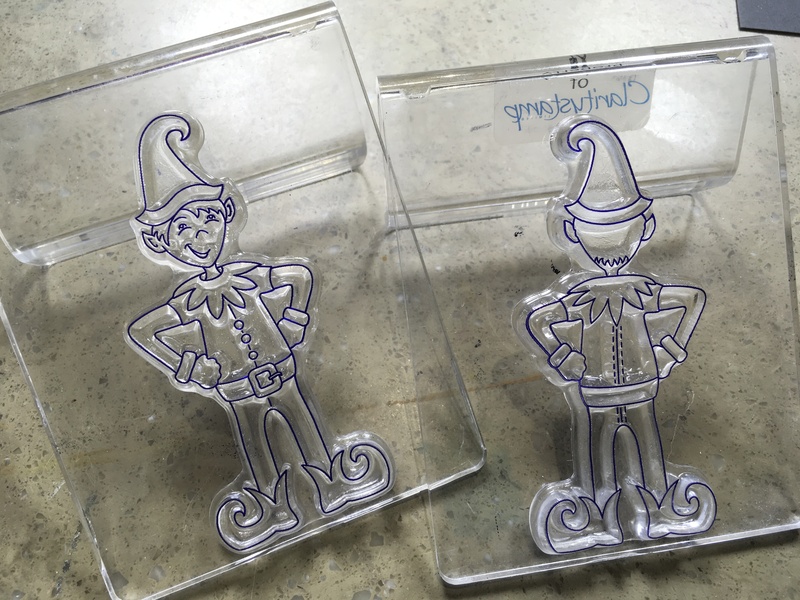 And I love the concept of Elvis the Elf too – I look forward to seeing some samples using the back & front. I’ve got a penguin stamp set (not Clarity, sorry!) that follows the same concept – makes a great spinner card. 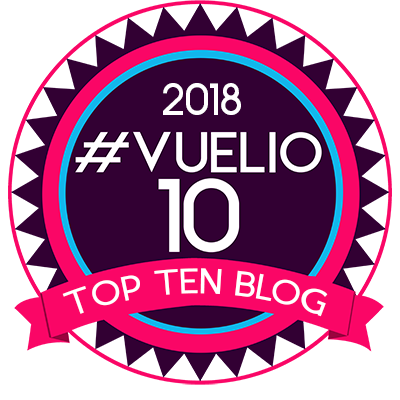 You should complete the set – Fiona the Fairy, Gerry the Gingerbread Man (and could I suggest also Pablo the Penguin and Ronnie the Reindeer …)! What a great elf, love that he’s double sided too. Oh are we in for some fun and games! I like a treasure hunt. Haha Barbara and shrink plastic, such a laugh, that’s one to watch. WOO HOO HOO I’ve found the first Elvis. Only 23 more to find!! Hey Penny, do you think we can stay up till midnight for 24 nights? 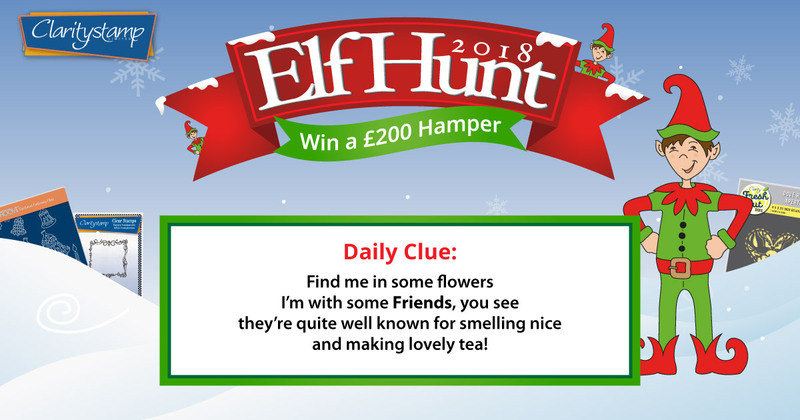 Ooops, those mischievous Elfish tikes are messing with my phone & pressing my keys on their own🐒……..
Found Elvis, first place I looked thanks to the clue! First Gray Friday parcel arrived yesterday, lovely. Found Him! This is going to be FUN!!!!! Thank you.